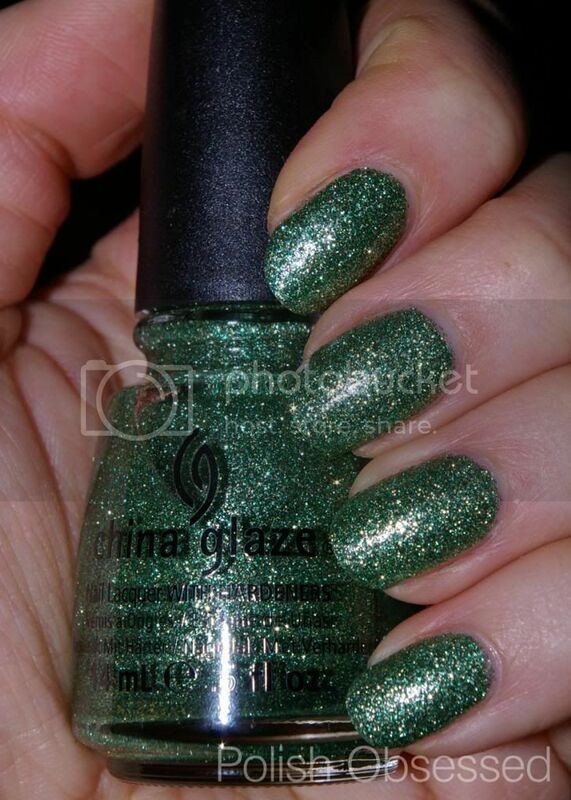 Polish Obsessed: This is Tree-Mendous!! Wow, down to a few days left until Christmas, today is Christmas Eve, Eve! The weather here the last few days has been crazy, power outages, frozen rainstorms and icy roads. I really hope everything gets back to normal soon and in time for Christmas. 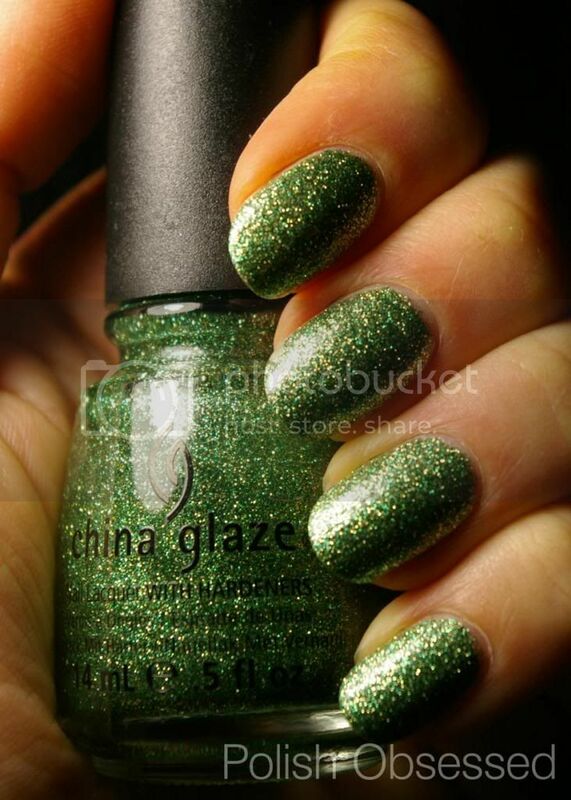 Today I have a great Christmas/holiday themed polish from China Glaze, Tree-Mendous, loving the cheasy name! This is a total Christmas tree glitter bomb, It is made up of medium and light green glitter with a sparkle or yellow/gold in a clear base. I wish the other glitters in this collection with the same formula had a slight tint of base colour to give it that little bit of depth. That being said it built up nicely to opacity with three thin coats. It is super duper sparkly and glittery, but it has a naturally dull/matte finish without a topcoat. You may have to apply a second layer of topcoat for super glossy nails, I used one and was happy with the look. My only complaint with these types of glitters are staying power, they always chip on me too early. Tree-Mendous was no exception unfortunately :( Me being me and not wanting to remove it after only one day, I just full in the missing pieces with some more glitter :) so far it has helped, it blends in well with the polish already on the nail, but it is still chippy. just wanted to say happy new year :) Hope that the holidays were a nice a relaxing one, and your family wasn't too burdened by the power outages! Aww, how sweet! I am so behind on blogging, just pulling myself to get my posts together now and saw your kind comment! Happy new year to you as well, I had some great time off and hope that you did too! My family and I were not too impacted by the power outages, we were apart of the lucky few.